Atlantic Center is located at 1414 Art Center Drive, New Smyrna Beach, Florida, and is accessed from US 1, N. Dixie Freeway. It is North of the New Smyrna Beach Municipal Airport. Watch for the brown road signs with arrows directing you to Atlantic Center for the Arts on US 1. Turn West at Art Center Drive. 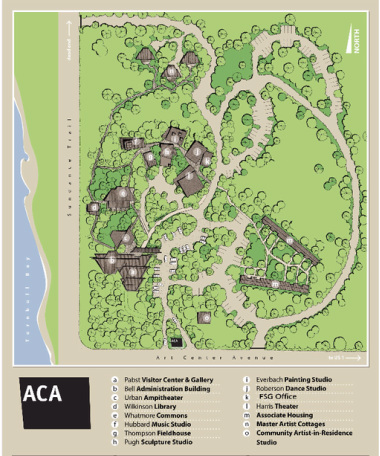 The entrance to ACA is approximately .8 miles on the right. For information on closest airports click here. 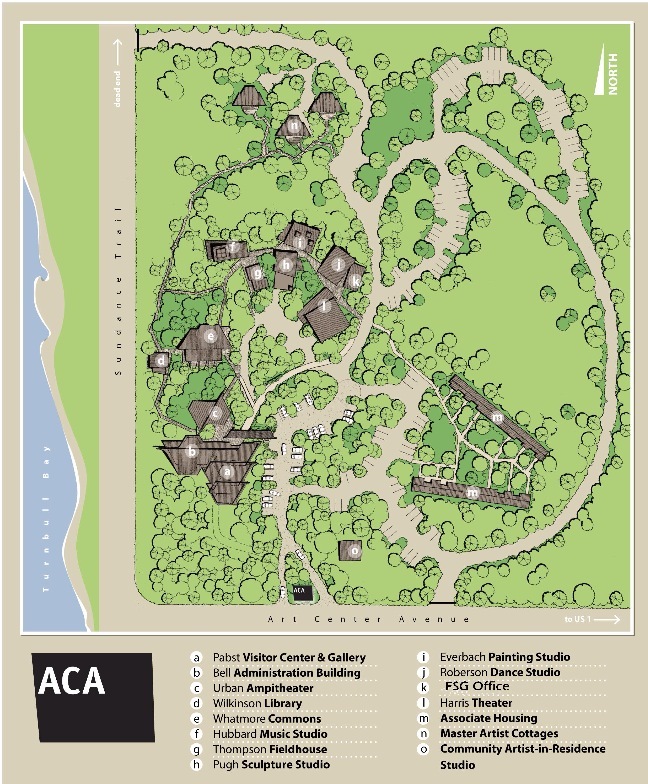 At left, a site map of the Atlantic Center for the Arts complex. Check in will be at the Harris Theater -- some of you may also know it as "The Black Box Theater."